Mom Was Right! Eat Your Broccoli! 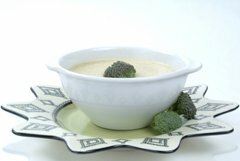 This Cream of Broccoli Soup is not only delicious ...it’s very good for you! Don’t tell the kids! Evidence indicates broccoli is one of the healthiest of vegetables. 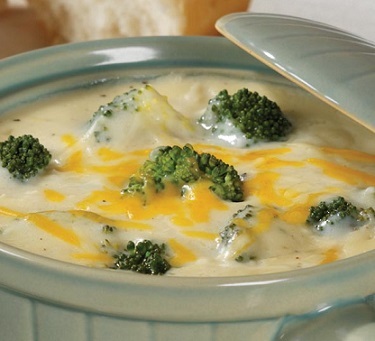 Broccoli apparently helps battle diabetes and may help to suppress some kinds of cancer. Preparation time: about 60 minutes. Serves 8-10 eight ounce portions. As an option for this restaurant soup recipe ... try adding a dash of nutmeg. 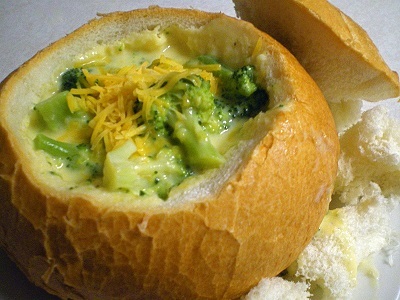 This restaurant soup recipe makes a wonderful meal when served with an award winning Bran Muffin. Thank you for visiting the website! ENJOY your soup and the company of those you share it with! And please remember there are many more restaurant recipes for you to "click to." You’ll love these proven restaurant recipes. You can cook with confidence and style!